Find your path to a season of great style with this dainty bolo! 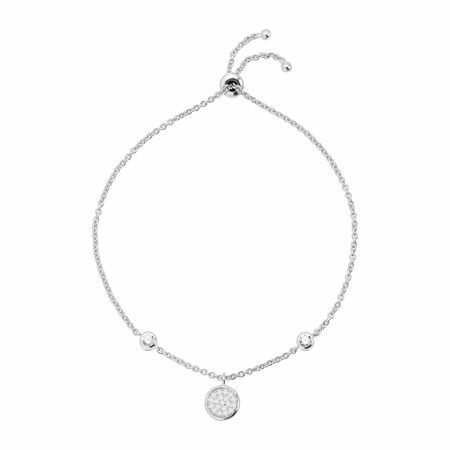 A central sterling silver charm boasts white cubic zirconia while larger stones flank either side. Measures an adjustable 9 inches long and features a sliding clasp. Piece comes with a ".925" sterling silver stamp as a symbol of guaranteed product quality.